Haha! I remember the no whammies! Too funny. Loved that show. I was also a big fan of "Price is Right" and "Card Sharks". Watching game shows was the best part of staying home sick. Well, that and Lite Brite. Pretty sad what happened to him in the aftermath, but amazing that he had the patience to do this. 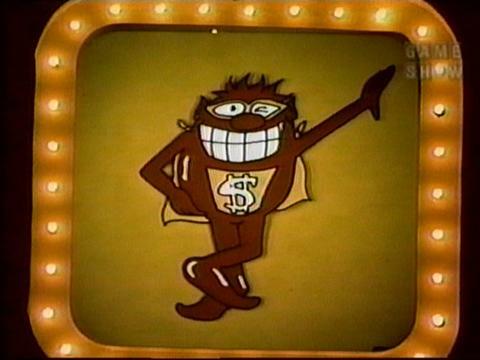 This show was very original - using the videos and the humorous ways for the Whammies to wipe out your bank. Very fun indeed. Predict the card or we cut off your finger........ not as awesome!! I loved this show, and laughed at the Whammies. This one guy won a ton of money, as he beat the game by memorizing the board's light patterns and only got one whammy. It took two shows to continue the game and the guy still got the money. However a news report on tv showed that someone had broken into the guy's home and stole all his winnings. The security camera managed to capture a few photos of the would be burglar. Nobody knew whom it was, as the hat and coat covered the identity of the person. Maybe it was a bunch of Whammies getting revenge on the guy. We'll never forget Peter Tomarkin as he hosted the show and dealt with those wicked whammies. It was funny at the end of the show, as he read poems sent in by views about the whammies. I got the hand held game Press your luck, and now I got the game for the Wii.